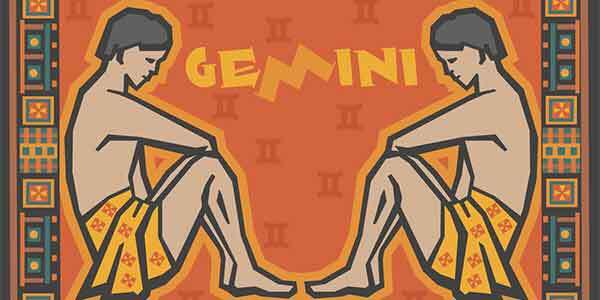 What is it about Gemini men? You’re a tale of two halves. Some may call you fickle. Though, perhaps you are just fun loving with a zest for life. You prefer to take each day as it comes and live in the moment, rather than worry about the future. That is except when that other side of your personality takes over. The melancholic side that gets broody and moody and irritable with others – even when they only mean well. 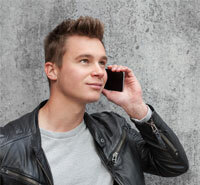 So if you’re thinking of broadening your horizons by joining a dating site like Manplay, here’s a guide to understand more about the Gemini zodiac sign and who you are most compatible with. You’ll be instantly drawn to this passionate lion. Like you they are very independent and have a zest for life. Social butterflies, people naturally gravitate towards Leos and so will you. Routine is almost a dirty word to them. If there isn’t any drama and excitement, they’ll create some: sometimes to the point of becoming melodramatic. However, they are always looking forward and don’t dwell on the past. So they’ll disregard your mood moments. This one could be a keeper. There’s always something new to discover, so you’ll never find them boring. You might even (dare you say it) decide to settle down? Graceful, and more often than not, devastatingly good looking. Though don’t they know it! Diplomatic with an easygoing nature, they love to be around other people. 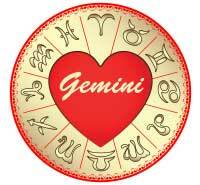 They have excellent instinct and intuition, which means they can understand all about Gemini men. Added to this, they love excitement, adventure and the unusual. If you feel you’re now ready to find a long term partner through a site like CompatiblePartners, this is possibly your best match of all. With their artistic flair and eye for design they are the perfect choice for decorating your flat. 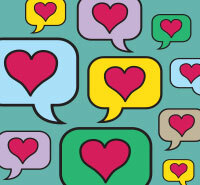 They are the ultimate romantic but also very sensitive, with an elusive personality that can be hard to pin down. This doesn’t make for a good pairing as you could find yourself walking on egg shells trying not to hurt them with a thoughtless comment. This may be a case of opposites attract. Whereas you can be quite mischievous and play games, Sagittarius is straight down the line and they say exactly what they mean. Your flirtatious nature will be an eye opener for them. Though, they don’t get possessive or jealous so it’s not likely to let it bother them. They crave adventure and love excitement so will be drawn to your fun loving attitude. While you’ll appreciate their positivity and how they don’t let things get them down. A Scorpio dating a Gemini man makes for a complicated relationship. Physically it can be a dynamic relationship. However, that may be where it ends. While passionate and loyal, they can be very jealous. Sometimes they can get moody for no apparent reason. That won’t gel well with your more melancholic side. Which means at times you could just make each other miserable. Not a very promising match. While you’ll appreciate their dependable nature, loyalty and generosity, you’ll probably find them too slow for your liking. Taurus isn’t a sign that likes to venture out into the unknown. They might admire your sense of adventure but they’ll be hesitant to come along with you. You’re likely to get bored pretty quickly and won’t find them much fun. There’s not a lot of passion between you. They’re too fussy, analytical and precise about everything. You love the idea of dropping everything and taking a trip at a moment’s notice. They would prefer to plan everything weeks in advance, down to the finest detail. You can’t think further than tomorrow. While they have their five year plan all worked out. This is potentially a good pairing. Aquarius can be full of surprises which you’ll find beguiling. He’ll certainly be able to keep you on your toes. Like you, they are also very witty which can lead to some challenging exchanges. This sign is a strong and independent go-getter, with a magnetic personality. If you don’t mind someone else taking the lead – then you’re in for a wild ride. Prepare for a relationship filled with novelty and excitement. They are the ultimate homebody. While they like nothing more than spending an evening in, you’re the life and soul of the party always up for a night on the tiles. You might be attracted to their caring nature, but you’ll probably find them too stable. This connection doesn’t bode well for a long term relationship. Sparks may fly between you as they can be quite passionate creatures. 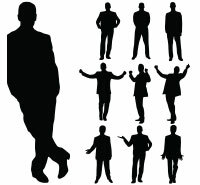 However, there are other aspects of their personality you’ll find harder to relate to. They are responsible, like structure and prefer to take things slow. Perhaps they are a little too slow for your liking? Now that you know which zodiac signs make for the most compatible relationship with you, visit Zoosk now to find the perfect partner to share your life’s adventure with.